The Main Man is here, and he’s looking...well, he’s certainly looking like a rough and ready take on DC’s wisecracking interstellar bounty hunter. Emmett J. Scanlan as Lobo, in all his skull-crotch glory. Well, faithful on a TV budget. It’s honestly not too shabby, even if “shabby” is actually something that can apply to Lobo’s typically grungy aesthetic in the first place. 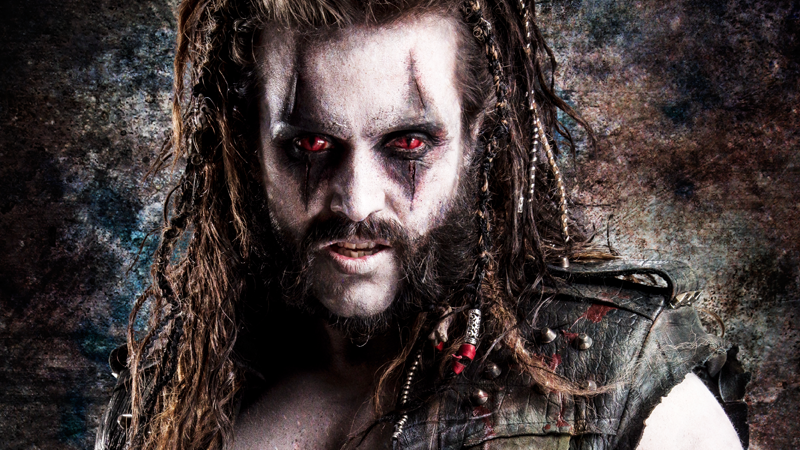 The hair’s a little less wild and a little more tied back (but even then, still plenty messy), and the low-hanging skull, which presumably replicates a similar motif in some classic Lobo designs, just sort of looks more like a lewd skull cup than anything else, but hey—at a glance, it’s Lobo. And you’ll be able to get more glances when he shows up on Krypton’s sophomore season next year.